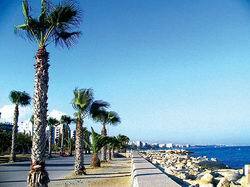 The south coast town of Lemesos is the islands's largest seaside resort and its main harbour. Built between two ancien towns, Amathounta and Kourion, it was already known as Neapoli (the new town)during the Byzantine years. Surrounded by the wine villages of Trodos, Lemesos has been known to traders for its wine and sugar cane, since the Middle Ages. 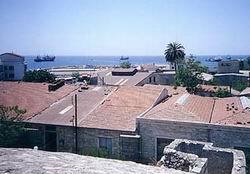 Today, with a populatioon of 135'000, it is the second largest city of Cyprus, the centre of its wine-making indistry, and an importatnt commercial and tourist centre. Its people are well known for their gaiety and lively character and the holiday atmosphere in this town is absolutely carefree. With its fun-loving reputation and the best nightlife on the island, it is fitting that only Lemesos stages some of the island's best known festivals, the annual Wine Festival in September, the Carnival in February, the Lemesos Festival during the summer and the ancient Drama Festival at Kourion. If shopping makes your day, Lemesos offers the full gamut, from ultra modern to traditional and handmade. Head for busy St. Andrews Street, not far from the seafront promenade, to find the best souveniers in town. Vertical to St. Andrews is Anexartisias Street, offering an array of modern shops for shoes, clothes and accessoites. Another important shopping street is Makarios Avenue, where many prestigous boutiques and showrooms are located, as well as small shops of every type. A tour to one of the wineries can easily be arranged in order to witness production and taste the final product. Visit Lemesos Castle, near the old port, where Richard the Lionheart allegedly married Queen Berengaria of Navarre in 1191 and crowned her Queen of England. Its grounds house the Medieval Museum of Cyprus with interesting pottery and tombstones amongst tis numerous exhibits. If you are in for museums, visit the Folk Art Museum, the Archeological Museum and the Municipal Art Gallery. Take the children to the Municipal Gardens to see the animals at the zoo and have fun at the play area.